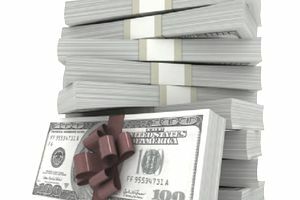 What Specific Gifts Are Not Subject to the Gift Tax? Not all transfers of property from one person to a non-spouse beneficiary where no cash or other monetary value is exchanged are taxable for federal gift tax purposes. Currently, there are three types of such transfers that are not actually considered gifts at all for federal gift tax purposes: (1) annual exclusion gifts, (2) certain payments for educational expenses, and (3) certain payments for medical expenses. What Are Annual Exclusion Gifts? An annual exclusion gift is one that qualifies for the current $15,000 per person annual exclusion from federal gift taxes. In other words, under the Internal Revenue Code, if property is transferred from one person to a non-spouse beneficiary where no cash or other monetary value is exchanged and the value of the property transferred is $15,000 or less, then the transfer is not a gift at all. The annual exclusion from gift taxes is indexed for inflation on an annual basis but must increase by at least $1,000, so it can sit at the same amount for several years. Married couples can combine their annual exclusion amounts and gift $30,000 to each person per year without incurring any gift tax liability. But note that even if a couple limits their gift to double the annual exclusion amount, they may still need to file a federal gift tax return using IRS Form 709, United States Gift (and Generation-Skipping Transfer) Tax Return to report any "split gifts." They will need to consult with their accountant to be sure. If a gift tax return is required, it will be due on April 15 of the year following the year in which the gift was made. Note that gifts made to a spouse who is a U.S. citizen are exempt from gift taxes due to the unlimited marital deduction, while gifts made to a spouse who is not a U.S. citizen have their own annual exclusion amount. What Are Payments that Qualify for the Educational Exclusion? Payments that qualify for the educational exclusion are payments made directly to a qualifying domestic or foreign institution as tuition for the education of an individual. What does this mean? That you can pay your grandchild's college tuition in the amount of $20,000 and also give your grandchild an additional $15,000 in the same year without incurring any federal gift tax. So this means that if you make the payment directly to your grandchild or if you pay for books, supplies, room and board, or other types of educational expenses, then your payment will be considered a taxable gift if it exceeds $15,000. What Are Payments that Qualify for the Medical Exclusion? Payments that qualify for the medical exclusion are payments made directly to an institution that provides medical care to an individual or to a company that provides medical insurance to an individual, and expenses for medical care are the same as those deductible for income tax purposes. So what does this mean? That you can pay for your grandchild's emergency appendectomy in the amount of $20,000 and also give your grandchild an additional $15,000 in the same year without incurring any federal gift tax. But note that the payment must be made directly to the institution providing the medical care or to the company providing the medical insurance, not to the individual receiving the medical care or insurance benefit, otherwise the payment will be considered a taxable gift if it exceeds $15,000.